When I was in my teens, one of my classmates took a dressmaking course. She always managed to whip up a dress the same day to wear at a party. She amazed us all with her speed. Well, making a piece of jewelry in 30 minutes is a lot more at least for me! 30-Minute Bracelets is the last one in the series which I received for review.The 60 projects all provide ample inspiration of what can be done with varied techniques and materials to come up with original designs. Chain mail, metal work and mixed media hold sway in this particular book. 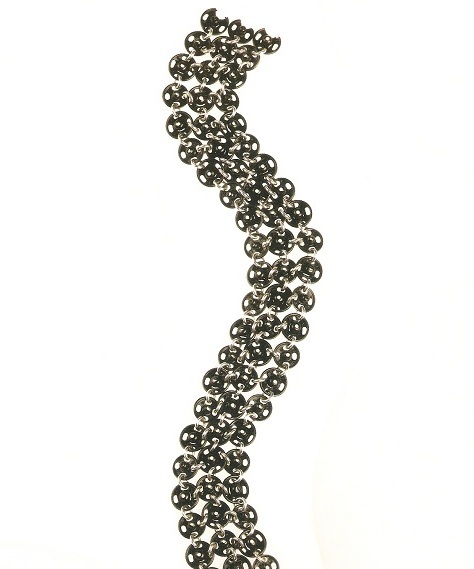 One delightful project even linked black dressmaking sew-on snaps in a way reminiscent of Japanese chain mail weaving! It is a clever idea as the snaps at the ends are the clasp bits! The leather bracelets by Sunyoung Cheong below were outstanding. Simple yet bold. 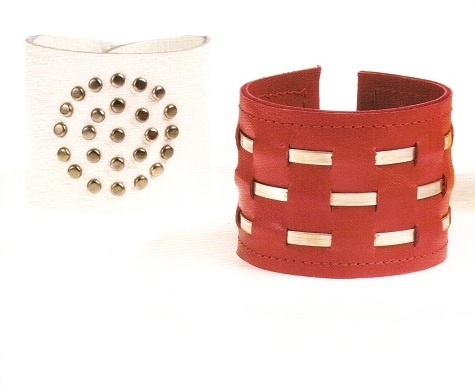 The double layered cuffs were adorned with either sterling silver strips or decorative brads. The creativity of many of the featured designers was astounding. 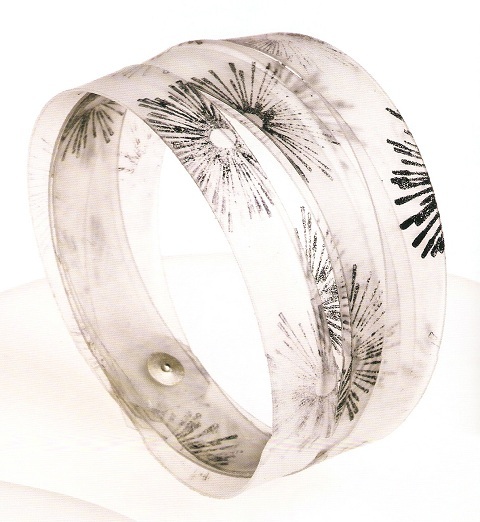 Plastic folders can be cut up, stamped and then riveted together to form a multi-layered bracelet. 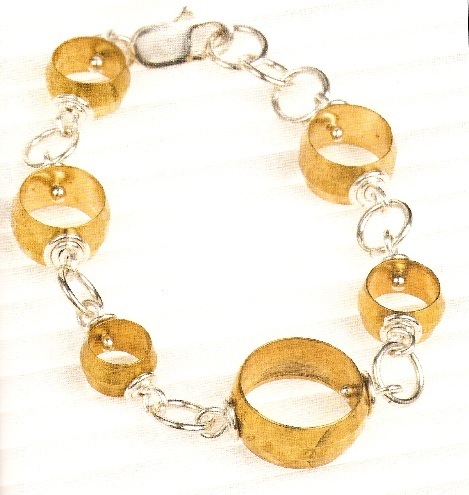 I also liked Nancy Wickman's novel approach to hardware fittings. She used brass compression sleeves like rings. These were connected up with balled up wire. Not everyone will like all the designs but every single one showed an innovative approach to design guaranteed to inspire people to think outside the box. The step by step instructions cover the basic techniques needed. Though I too have always had trouble with, so-called, "fast" projects . . . especially with those quick and easy recipes that claim they can be made in 15 minutes or less, it always seemed to take me at least 45 minutes to whip them up. Maybe I just run on a different time clock ? I want to tell you that I really enjoy your blog! I look forward to it each day and have learned so much form your blog. I have seen tutorials that I would have never seen and been inspired. Thank you so much and, please, keep on blogging!